International Science + Engineering Visualization Challenge! Well, here at the biocreativity blog, we couldn’t agree more! That means it’s time for the National Science Foundation and Science Magazine‘s 2012 International Science and Engineering Visualization Challenge. This year’s Challenge opened on June 1st, to celebrate “the grand tradition of science visualization and to encourage its continued growth”. Since 2003, this contest has gathered some of the best scientific visualizations including photography, illustration, posters + graphics, video and now games + apps from an international pool of artist-scientists. Microbe vs. Mineral – A Life and Death Struggle in the Desert. Credit: Michael P. Zach, University of Wisconsin-Stevens Point. 2009 Honorable Mention. The Glass Forest. Credit: Mario De Stefano, The Second University of Naples. 2008 First Place Photography. 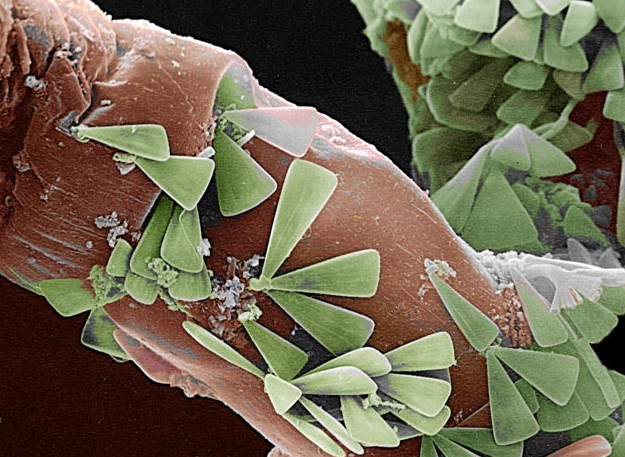 Do you have a great science visualization you’d like to enter? The Challenge is open until September 28th, and you can make your entry via the online entry form! 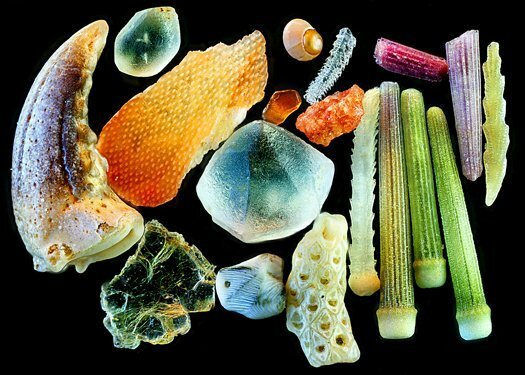 Yanpin Wang's photo of sand at 4x magnification. 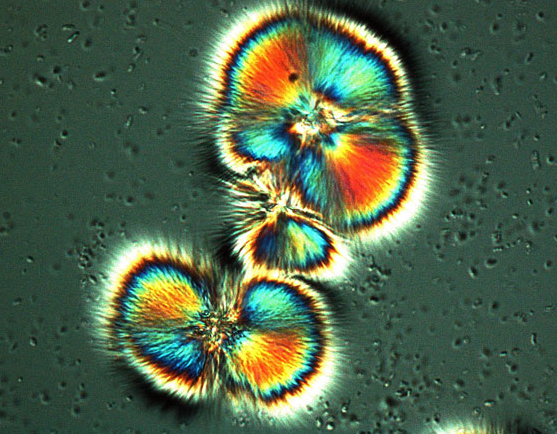 I’ve had a particularly fun time browsing the Nikon Small World website, which features a gallery of incredible images, a photo-of-the-day and a daily 5-photo Identify the Image quiz. You can even get your very own calendar of Small World images. 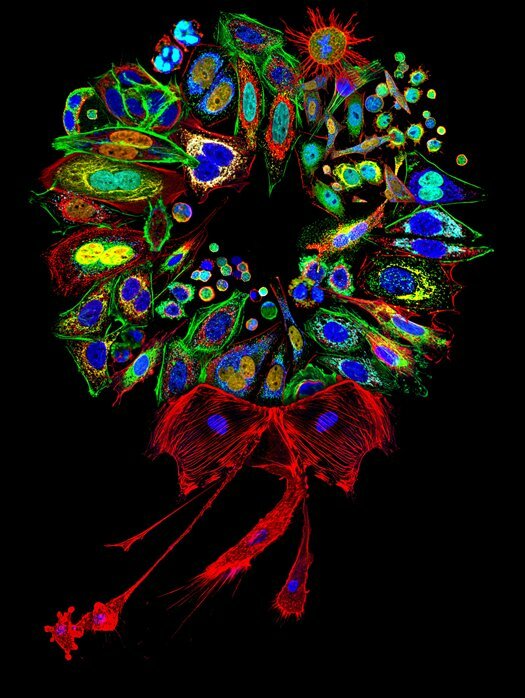 Dr. Donna Stolz's collage image of stained animal cells assembled into a wreath. The next competition deadline is April 30, 2012 and features both still image category and a Small World in Motion (movie) category. Click here to enter your work!